From L to R: Robert Čásenský, Miklós Haraszti, Beata Balogová and Piotr Stasiński discuss the threat to media freedom in the Visegrád region at a panel discussion in Warsaw on Dec. 13, 2017. Photo: Henri Koponen/IPI. 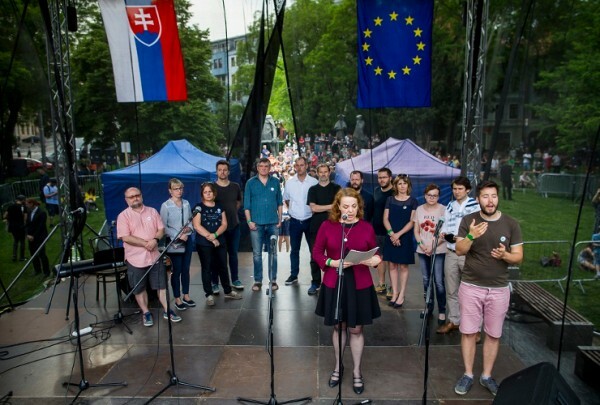 Independent journalism is under pressure across the Visegrád region – Poland, Hungary, the Czech Republic and Slovakia – as political leaders seek to portray critical journalists as enemies of the national interest and governments and wealthy business interests aim to coopt independent media outlets. That was the consensus among the four prominent speakers at a public panel discussion in Warsaw on Dec. 13, 2017 on regional threats to press freedom and independent journalism: Beata Balogová, editor-in-chief of the leading Slovak quality daily SME; Robert Čásenský, editor-in-chief of the monthly Czech magazine Reporter; Miklós Haraszti, a noted Hungarian author and the former OSCE representative on freedom of the media; and Piotr Stasiński, deputy editor-in-chief of Poland’s biggest broadsheet daily, Gazeta Wyborcza. 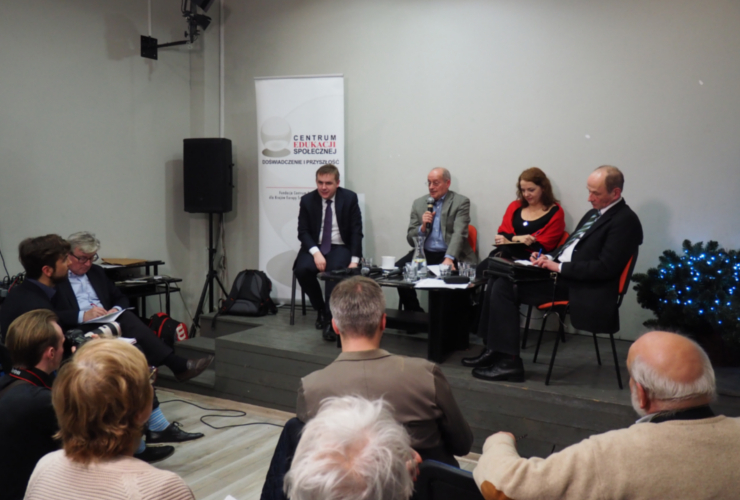 The panel – “Media Freedom Under Pressure in the Visegrád Region: Threats and Solutions” – was hosted by the International Press Institute (IPI) and the Warsaw-based Society of Journalists (Towarzystwo Dziennikarskie). “Politicians are basically saying that a good journalist should be loyal to the government,” Balogová said, describing the overall attitude in the region. While developments in the media landscape in the four countries do not always follow the same trajectory, the panellists agreed that one shared challenge to press freedom involves media ownership. Haraszti described the Hungarian model of ownership as one of “reprivatisation to oligarchs”, in which private media outlets are placed in the hands of government-friendly businessmen. Hungary, he said, was furthest down a road that politicians and businessmen in the rest of the region could look to follow. Balogová said that media ownership is “clearly the biggest issue” in Slovakia and the Czech Republic, where oligarchs are engaging in “aggressive shopping” and the ownership changes are difficult to track due to lack of transparency. “Almost all media houses in the Czech Republic are owned by oligarchs,” Čásenský, who previously served as the editor-in-chief of the prominent daily MF DNES before that paper was purchased by billionaire businessman Andrej Babiš, added. He warned that with Babiš’s recent election as prime minister, the situation could become even more difficult for independent media outlets. Besides the threat from oligarchic business interests, the panellists warned, elected governments across the region were also seeking more control over media outlets to, in turn, use them as a weapon against critical and opposition voices. Stasiński commented that Poland’s ruling PiS (Law and Justice) party is “using national and state-owned media to protect their own rule and nationalistic, illiberal ideas”. He said that, in Poland, where oligarchs are less prominent, it is usually the government that is driving the buyout of media outlets, with the help of state-owned companies. The panellists highlighted the funelling of state-funded advertising to “loyal” media outlets as one common method governments use to drive independent media out of business. Haraszti offered a bleak picture of a development he termed “new state censorship”, in which private media continued to exist, but in a market manipulated by the state. All four experts agreed that the attacks on independent media had potentially dire consequences for democracy itself, especially with the public’s trust in critical media declining. 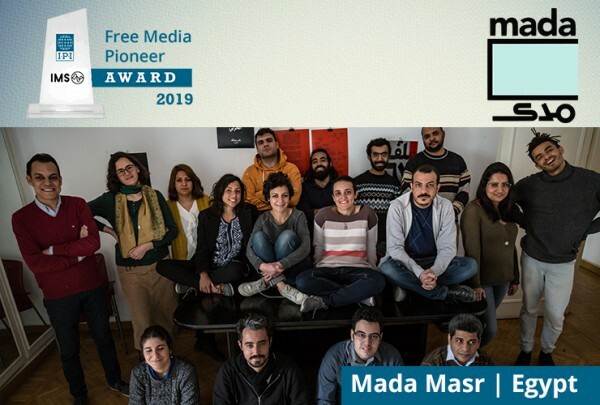 As a response, several of them pointed out the need to reinforce solidarity among independent media and to maintain objective journalistic standards. Čásenský suggested that declining trust in the media in recent years was in part the industry’s own doing. “Did we really [always] work professionally? Did we do our part in serving all the people? Were we fully objective?” he asked the audience. “We have to support those who actually remain true to their profession,” Balogová added. She emphasised a need to create dialogue with those who already worked for government- or oligarch-owned outlets in order to encourage the preservation of standards of independence. He also called for press freedom defenders to adopt a more systemic view of the threat in the Visegrád region, instead of focusing on specific violations.